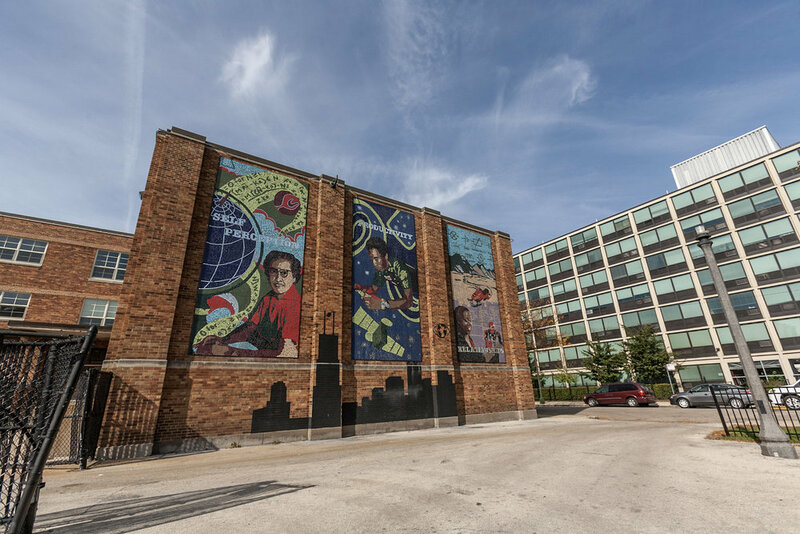 Description: This three-panel mural at Perspectives Charter School honors prominent women in Science, Mathematics, and Technology. 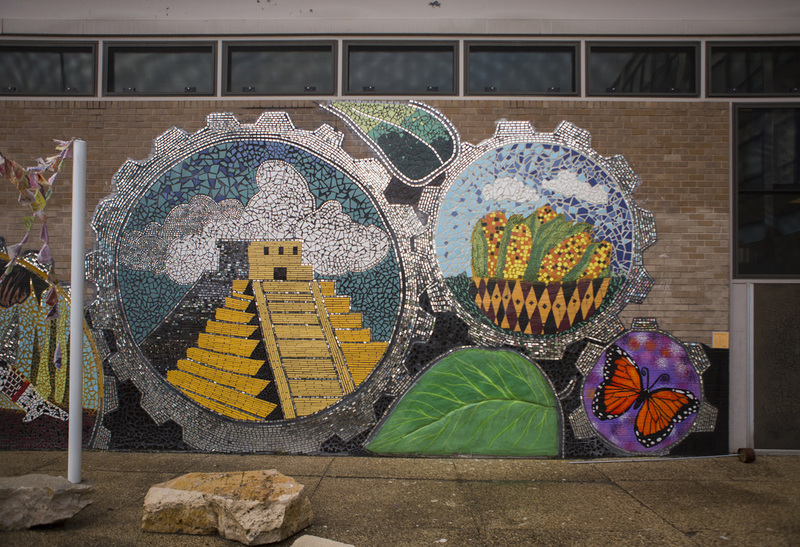 The mural also highlights the school's values: self-perception, productivity, and relationships. 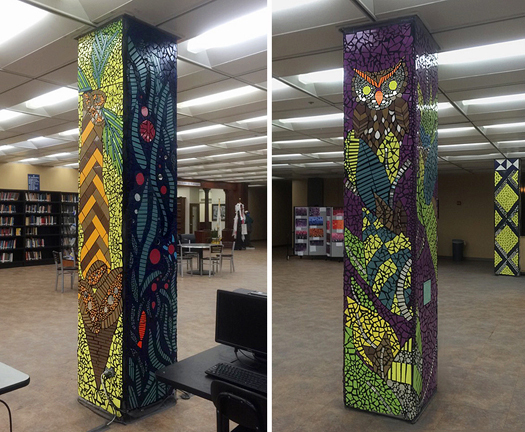 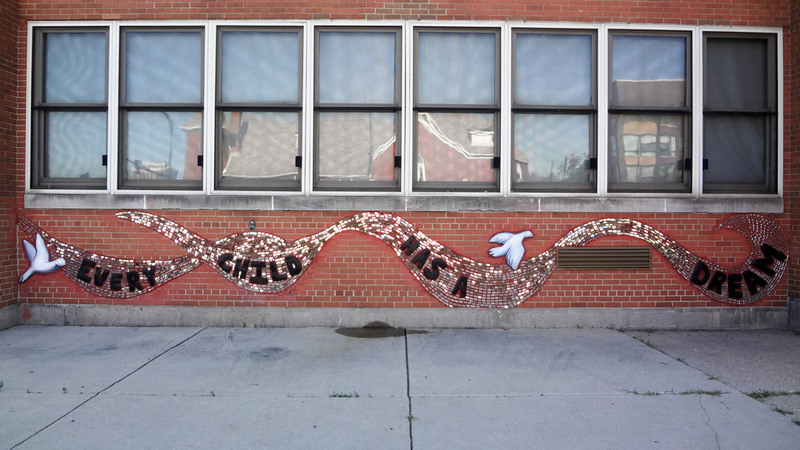 In 2018, our team worked with Chicago youth to create another installation for Perspective Charter School’s stage backdrop. 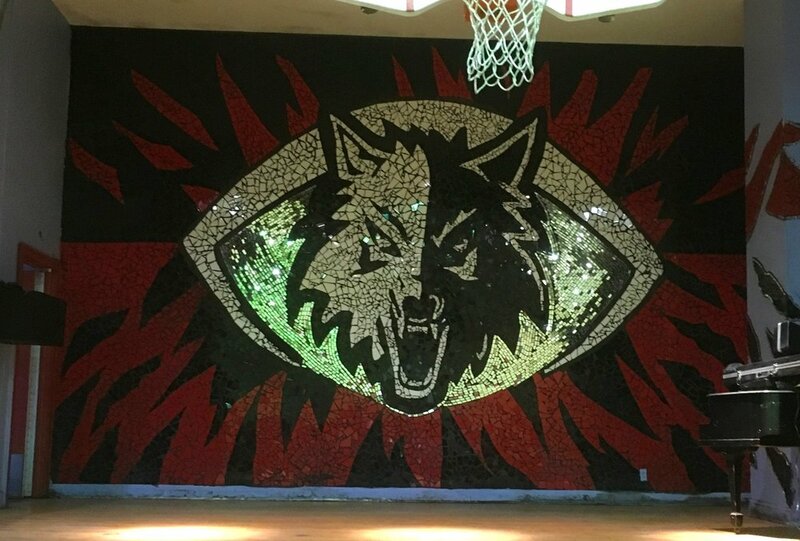 The mural brings school spirit to the stage by depicting Perspective’s wolverine mascot. 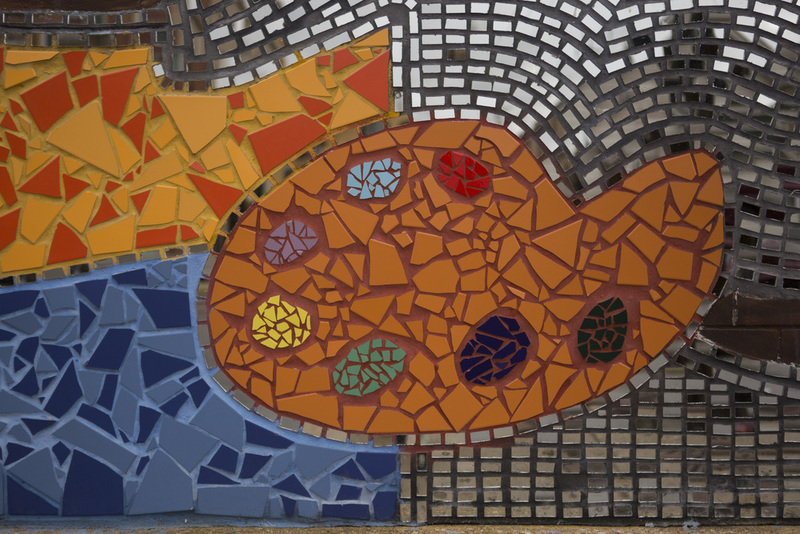 Description: GSM completed two projects at this school. 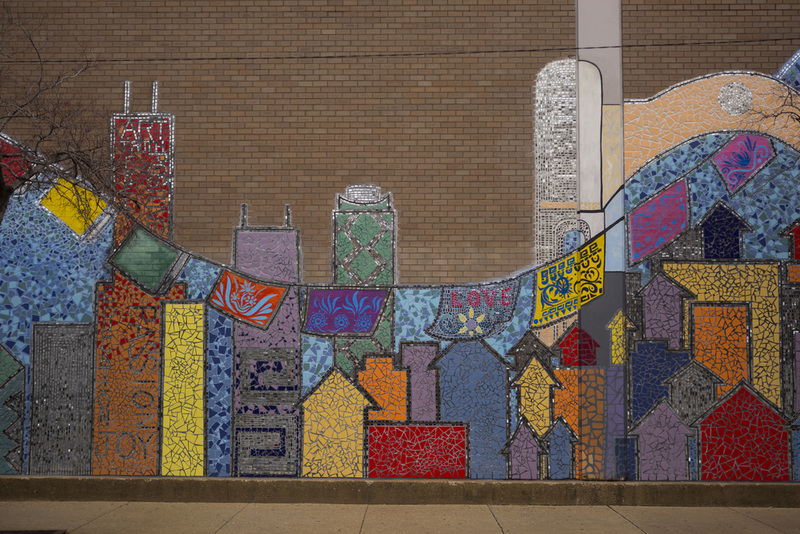 The first faces the school's outdoor performance space on the east side of the building and blends Chicago imagery with representations of fine arts disciplines. 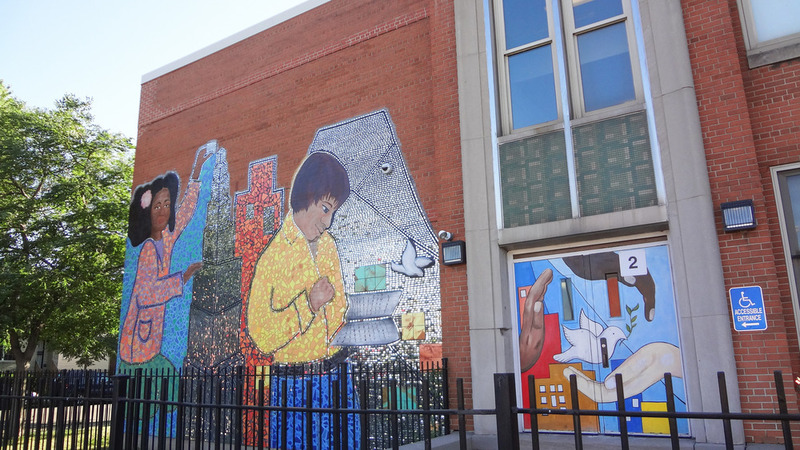 The second mural, which is on the north side of the building and faces the school's playground, includes a shining sun, flowers, and silhouettes of children playing. 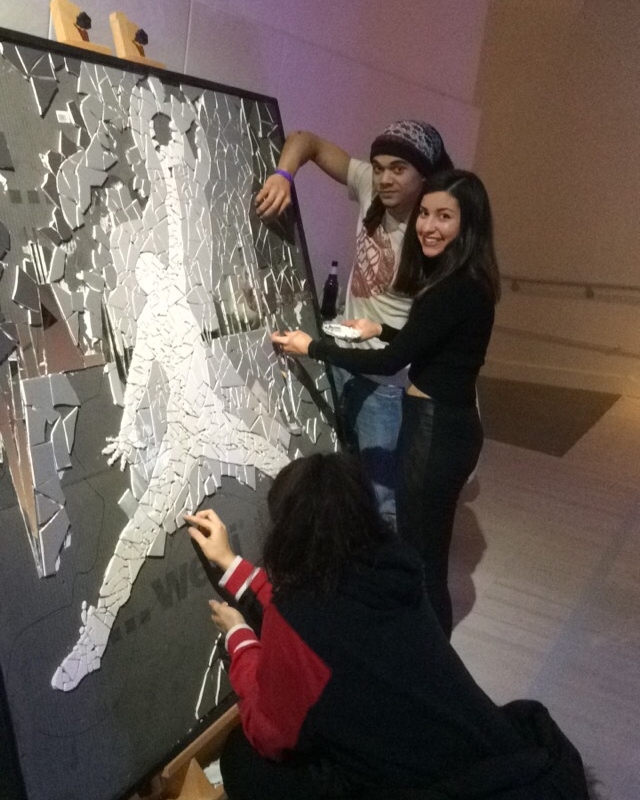 Description: We were hired by Limitless Creative Co, the team behind the new Jordan Brand Experience store on State St. in Chicago, to work on this piece with the help of event attendees at one of the store's monthly art events. 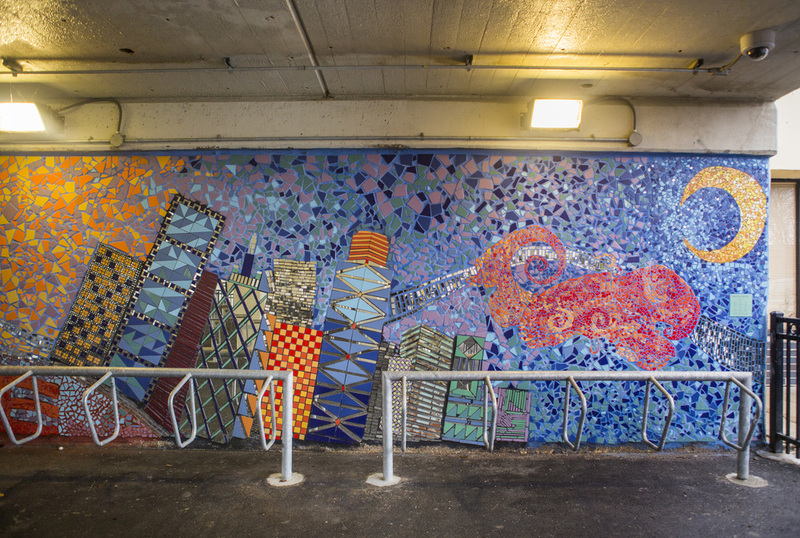 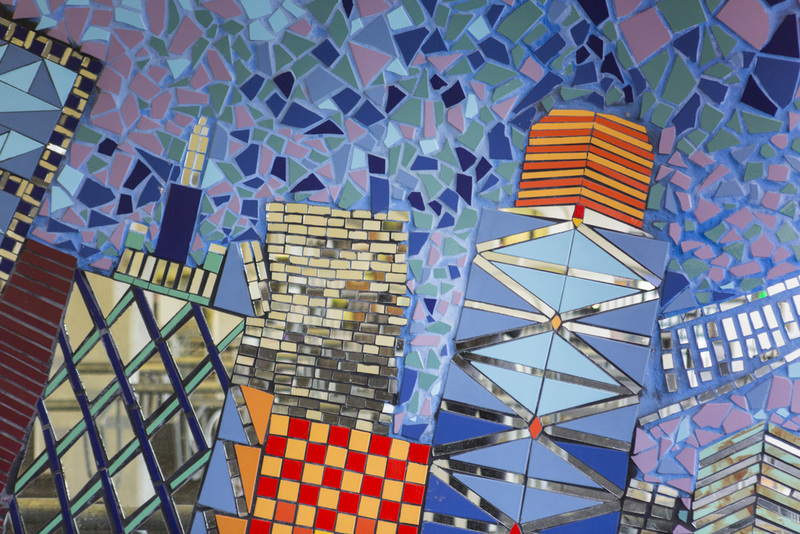 Description: Located at the street level entrance for the Thorndale Red Line stop, the mural showcases the Chicago skyline and illustrates its nickname, "The Windy City." 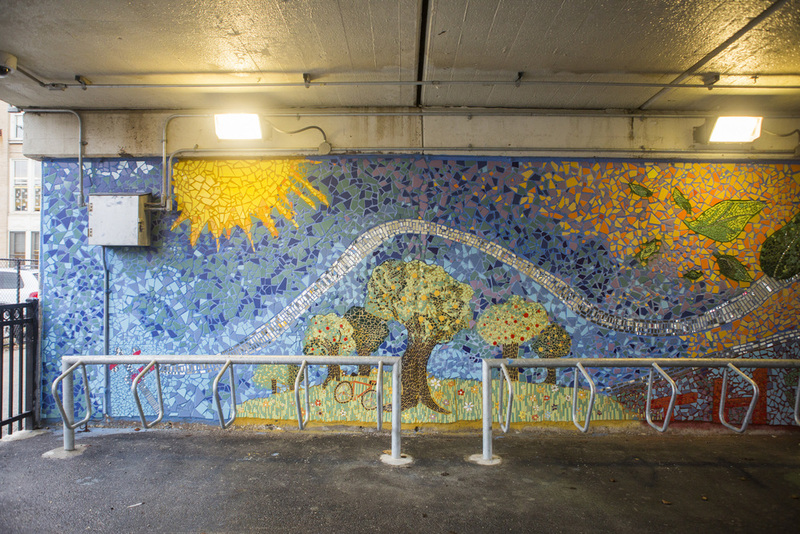 Description: This mural depicts elements of the Montessori philosophy including nature in the classroom, exploration of the environment, and the role of education in establishing peace.